In this beautifully illustrated collection of essays, readers will find surprising connections and much food for thought. Ask the Animals is a wonderful resource for private devotion or group study. Ask the animals Job says, and they will teach you; the birds of the air and they will tell you . . . who among you does not know that the hand of the Lord has done this? From the humpback whale, who offers a glimpse into Gods mystery, to the elephant, who models Gods fiercely protective love and compassion, to the blackbird, who opens our eyes to the song of joy that sings through the cosmos, the animal kingdom is a treasure trove of images of our Creator. In this beautifully illustrated collection of essays, readers will find surprising connections and much food for thought. 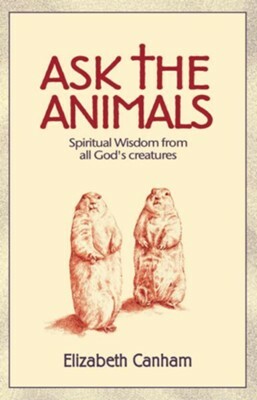 Ask the Animals is a wonderful resource for private devotion or group study. I'm the author/artist and I want to review Ask the Animals: Spiritual Wisdom from All God's Creatures - eBook.